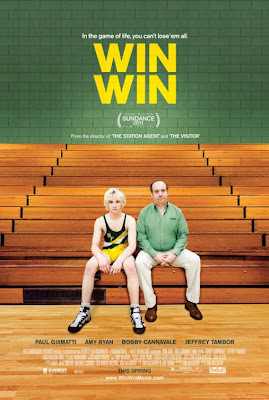 Thomas McCarthy’s latest film, WIN WIN, is a little movie about regular people in a small town. McCarthy is no stranger to championing the stories of the every man (perhaps best exemplified in his last film, THE VISITOR) and this time out, he has the most regular of the bunch at the helm. 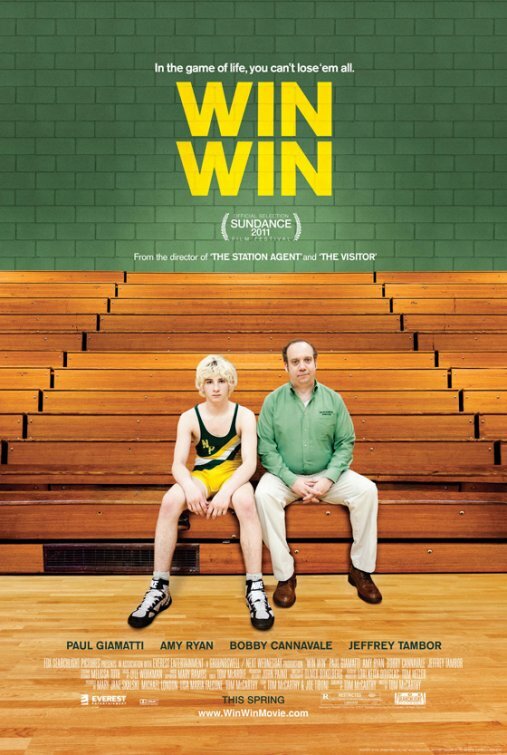 Paul Giamatti is Mike Flaherty, a local New Jersey lawyer struggling to make ends meet, who also works as a high school wrestling coach in an attempt to hold on to his youth. His situation seems to be getting increasingly dire despite his best efforts to turn things around and McCarthy makes it his mission to take the tiny eccentricities that make up Mike’s daily routine and turn them into humorous foibles that are supposed to make his plight more endearing and relatable. Unfortunately, in doing so, he also makes everything feel far less authentic than it needs to be. Setting up Mike’s life is laborious. The father of two works too much and is not at home as often as he should be. His law practice is going through a slow period and the bills are piling up. Naturally then, as he is jogging in an effort to reduce his stress, he suffers a panic attack. In a desperate effort to get out from under everything, he takes on the care provider role of one of his older clients (Burt Young) to collect the commission that comes from it. Instead of actually providing the service though, he sticks him in an elderly care facility. 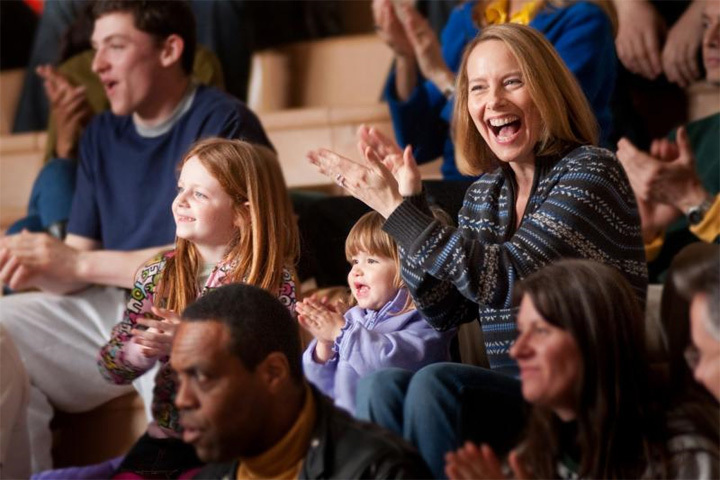 He has to lie to a judge and his wife (Amy Ryan) in order to make this happen so you just know it isn’t going to end well for him. The obviousness of the set up also makes the wait for the demise quite noticeable. Meanwhile, the lightened tone makes it difficult to know whether any of this is meant to be taken seriously. Mike’s questionable actions bring about inevitable complication in the form of his client’s grandson, Kyle (promising newcomer, Alex Shaffer), needing a place to stay. It just so happens that Kyle is a naturally gifted wrestler and his fierceness in the ring becomes a great source of inspiration for Mike. In one scene, Kyle explains his strategy to his team; when he’s pinned down to the ground, he does whatever is necessary to break out of that. The knowing look on Giamatti’s face when he hears this means that at one point, he will have to do the same. And as his lies drag him down further into trouble, McCarthy turns WIN WIN into some sort of morality tale about following the path of righteousness in order to succeed in life. The suggestion is that life is a game made up of winners and losers and that we can all be winners if we actually try to do right by ourselves. If only McCarthy had been more genuine himself, then maybe his film would have truly lived up to its name and it wouldn’t feel like McCarthy got pinned down to his own mat.